Super Panama Black Need Help? Influenced by past eyewear making heritage, the Panama is smaller fitting and refined, with contemporary gold metal detailing and offered in classic colors. 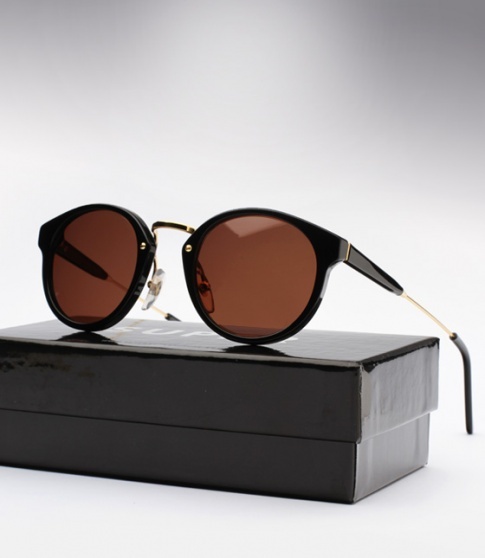 Available here in black acetate and gold metal paired with "tobacco" brown lenses.